Is Intelligent Lighting the Way of the Future? Is the LED Going to Be the Future of Lighting? Most people that are having a new home built are going to put a lot of emphasis on the lighting. The trend today is to go for the smart home build. 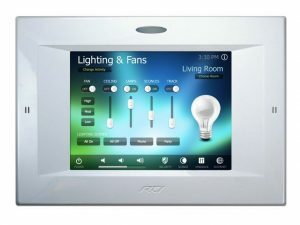 This is going to automatically include the lighting control system. A lighting control system is not just restricted to new home builds. Individuals that have an older home can also have this type of system installed on a wireless control basis. Those that are have a smart home built they want to usually go with the wired system which makes up part of the construction tasks. There are a lot of benefits to using a light control system besides convenience. Many people take great pride in their living environment. They want it to look its best, and they work hard at doing this. To be able to showcase all their work, it is going to depend on the lighting. Being able to have control over the lighting for the various rooms enhances this. There are opportunities to preset the lighting or change it when one has a desire to do so. Aside from having each area of the home look good, homeowners want their dwelling to be warm and cosy. A lighting control system gives them the ability to have the control over this. Each room can be set to the required lighting, creating the perfect atmosphere for its use. Many may think that there is an additional cost when it comes to the lighting control system that is going to be built into the smart home. There is an initial cost for doing this which is higher than standard old-fashioned lighting. However, it has a great payback value when one looks at the energy that can be saved. Simply by dimming the lights by a small amount can create a substantial saving.